A lovely spacious 6 bedroom apartment in great condition and decorated to a high standard throughout. The property comes with 6 double bedrooms, separate lounge, separate fitted kitchen and two bathrooms with bath and shower overhead. 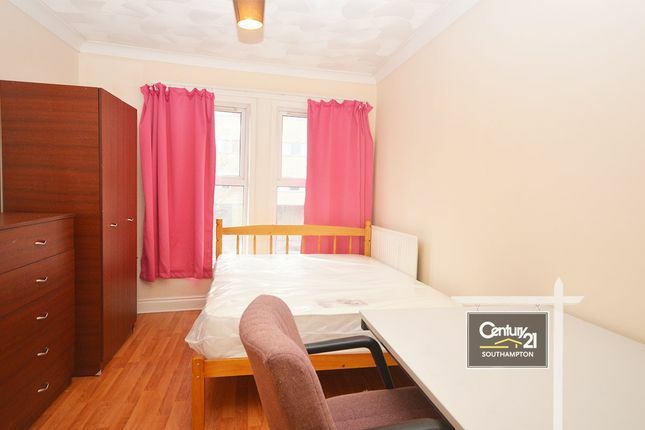 The property is fully furnished and in close proximity to Solent University and Southampton City Centre. Property descriptions and related information displayed on this page, with the exclusion of Running Costs data, are marketing materials provided by Century 21 - Southampton, and do not constitute property particulars. Please contact Century 21 - Southampton for full details and further information. The Running Costs data displayed on this page are provided by PrimeLocation to give an indication of potential running costs based on various data sources. PrimeLocation does not warrant or accept any responsibility for the accuracy or completeness of the property descriptions, related information or Running Costs data provided here.